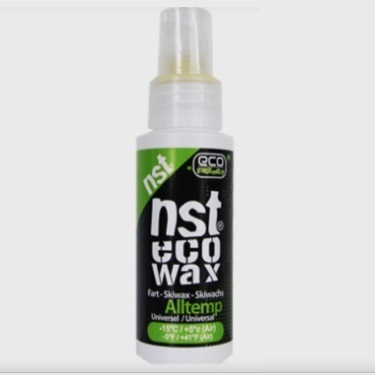 The NST All Temp spray on wax gives you the ultimate glide in all conditions, it's quick and easy to use. This Eco friendly wax is made with new speed technology and works well in temperatures from -15 to +5. Non toxic / Not flammable.